The Ivory Room is a stunning bridal boutique in Lincolnshire that provides beautiful wedding dresses, elegant bridesmaid dresses and stylish accessories. Located in Woodhall Spa, an attractive Georgian village in central Lincolnshire, we offer a relaxed and personal service to ensure you have an enjoyable time while choosing your perfect dress. To ensure the best personal service for each bride-to-be, we offer an appointment only service so please call ahead to avoid disappointment. Why Choose The Ivory Room? I loved my wedding and I love going to my friends’ weddings and all the happiness that they bring. 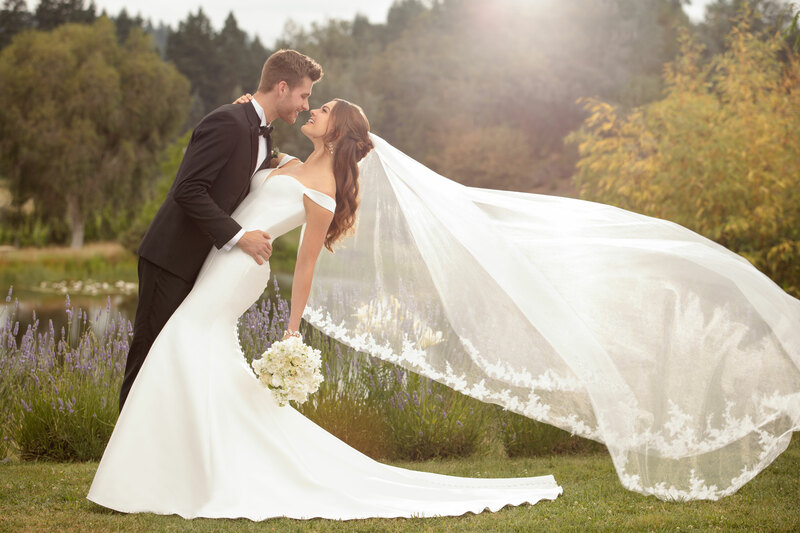 The dress is one of the most important elements of your wedding and I want to help you find the perfect one and ensure that it will be one of the most enjoyable parts of planning your special day. So when you visit The Ivory Room you will be welcomed into the elegant and relaxed surroundings and have the shop to yourself during your appointment. I have chosen my designers with great thought, they are unique to the area and provide stunning designs tailored with gorgeous fabrics, created with care. My leading designers are Justin Alexander, Essense Of Australia and Ivory & Co Bridal Couture.